Zealand Mountain is a wooded summit that sits just .1 mile off the Appalachian Trail. There are no views from the summit as it's in the middle of the woods. There is only one trail that takes you to Zealand Mountain and that's the Twinway. The fastest way to the summit is hiking Zealand Trail 2.5 miles to the Twinway and then hiking 3.1 miles up the Twinway to the Zealand Spur Trail. -Zealand Trail / Twinway / Zealand Spur: 5.6 miles, elevation gain of 2,300 feet. The Zealand Trail has very easy grades and excellent footing as it leaves the end of Zealand Road and takes you past Zealand Ponds to it's end at the Twinway. 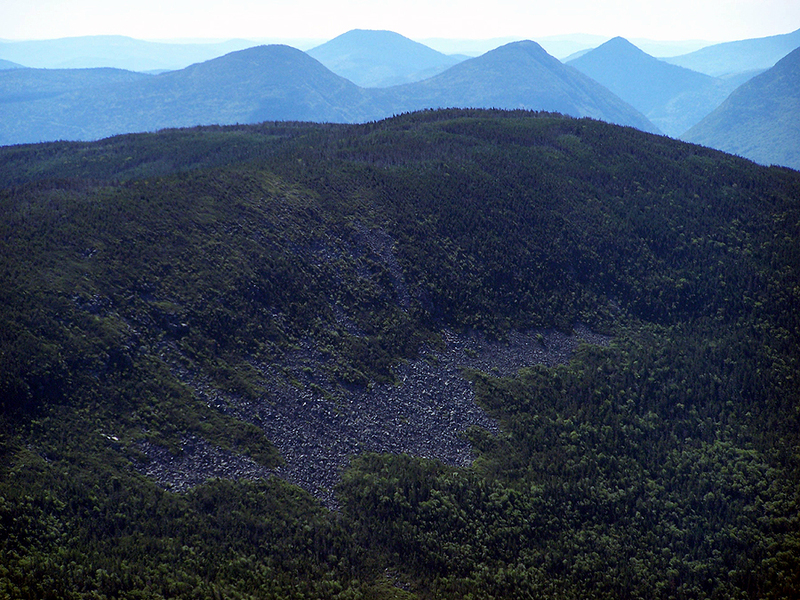 The Twinway (Appalachian Trail) has rough footing with moderate to steep grades in places. From the Zealand/Ethan Pond Trail junction it rises steeply past Zealand Falls hut and continues to rise steeply until the trail splits at an outlook that overlooks Zealand Notch over to Carrigain Notch with tremendous views north to the Presidential Range. From here the trail becomes easier on the feet for a few tenths of a mile until one passes the Zeacliff Pond Trail junction where the Twinway becomes steep with rough footing again for a short pitch up to a ledge overlooking Zeacliff Pond. The trail then become easier again with moderate grades and ok footing for the next mile to the Zealand Spur Trail.